This earwire is sleek and simple and makes a great standard for my designs. I’ve had people tell me they prefer this style and I do as well. Love the ball end ear wires!. They compliment the ball end headpins I use. 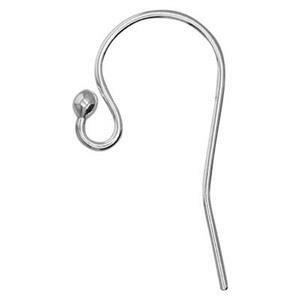 This is my go to earwire. It is simple and has a nice look that makes my earrings look professional.